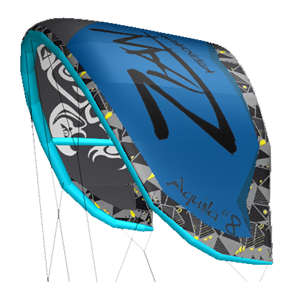 Suited for anyone from beginner to pro, the Aquila VII, our flagship kite, provides the perfect amount of feedback for unmatched comfort and control, instilling a sense of connection, confidence and effortless performance. Designed to do the hard work for you, the Aquila VII also features ultra-efficient upwind reach, instant auto relaunch, mega low-wind power, crisp high-end control, a unique no-stall design, and Zian’s 14mm Lightspeed One-Pump for rapid inflation and breakdown. 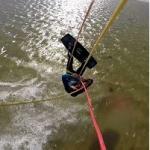 With hassle-free block pulleys on the bridle, this 4-line kite also features a 5th line option (that easily stores in the leading edge) for those who prefer the confidence of a 100% depower safety system.